Craft Coffee, Craft Beer, Good Food, Etc. Public Transportation, Cityscape, Landscape, Etc. Urban Decay, Urban Blight, Abandoned Buildings, Condemned Buildings, Etc. Another super-duper ‘awesome’ mural I saw during my 6 day trip to Reykjavik, Iceland… on Laugavegur Street in the City Centre. 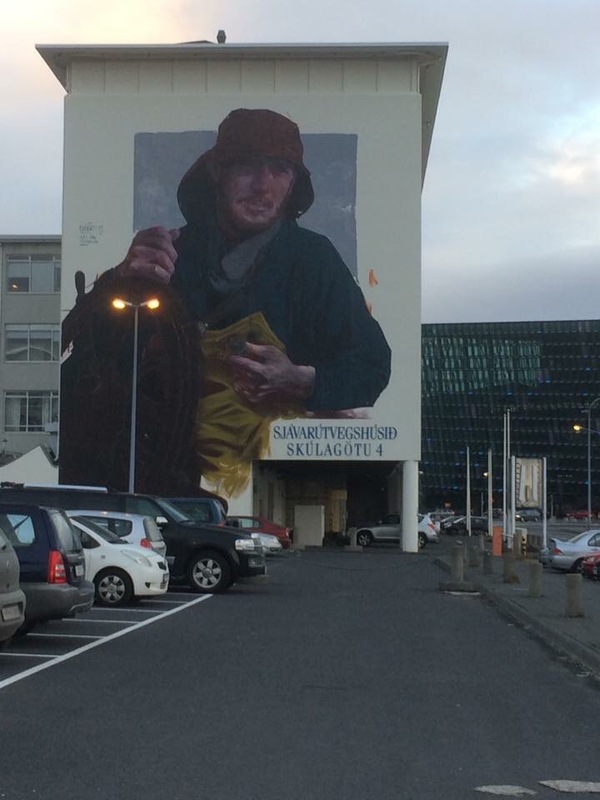 In addition to good food & a good craft beer scene, Reykjavik has numerous murals! Format StatusPosted on December 20, 2016 Categories Media, Mural Art, Public Art, Public Transportation, Cityscape, Landscape, Etc.Tags #Artsy, #Iceland, #Intricate, #Mural, #Murals, #Reykjavik, #TheArts, #Urban, #UrbanExploration, #UrbanExplorer, #UrbanPhotography, #VibrantLeave a comment on Mural in Reykjavik, Iceland. 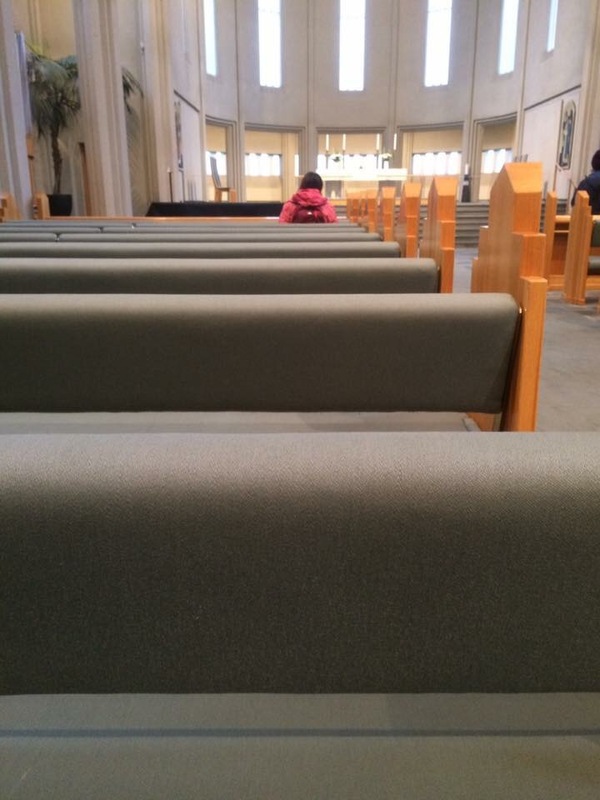 Want to see something unique? Go to Iceland! 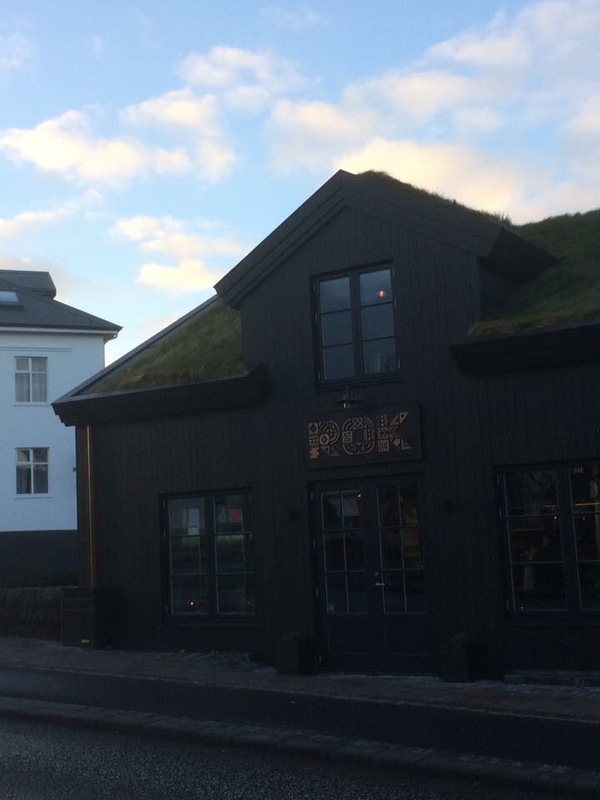 You can see homes throughout the City of Reykjavik (if you look for them) and in other parts of the country where the rooftops are covered in turf. I found it pretty unique & interesting. There’s lots of interesting & unique things to eat, drink, and see in Iceland. In addition to having a lot of awesome murals, Reykjavik, Iceland also had a lot of impressive illegal graffiti. Some of it was impressive and some of it was crap, but it was nearly everywhere… billboards, buildings, walls, fences, and even storefronts along busy streets. Posted on December 18, 2016 Categories Public Transportation, Cityscape, Landscape, Etc., Urban Decay, Urban Blight, Abandoned Buildings, Condemned Buildings, Etc.Tags #Alley, #Alleys, #BlueSky, #Buildings, #Clouds, #Europe, #Graffiti, #Iceland, #IllegalArt, #OrangeClouds, #ParkedCars, #Reykjavik, #Sky, #StreetArt, #Sunset, #TravelBug, #TravelJunkie, #UrbanBlight, #UrbanDecay, #UrbanExplorer, #UrbanPhotography, #VacantLot, #VandalismLeave a comment on Graffiti in Reykjavik, Iceland. This was probably one of my favorite murals in Reykjavik, Iceland out of the many murals across the city… and there were many great ones, too. 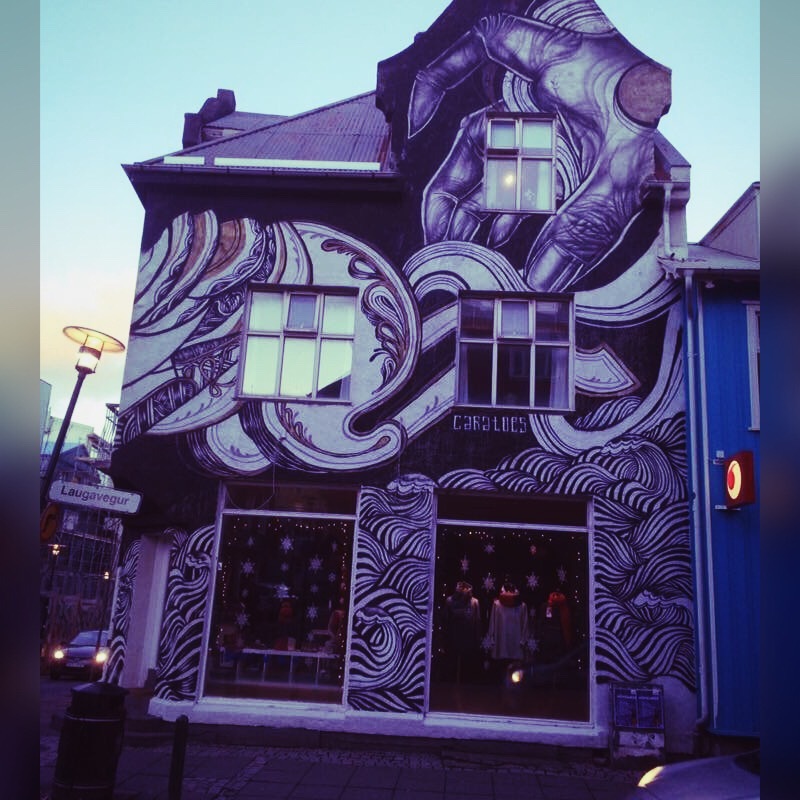 If you like murals, craft beer, nightlife, unusual food, and well organized tours… Then do put Reykjavik on your list! One of the many murals I saw in Reykjavik, Iceland last month… not the most artistic mural I’ve seen, but definitely impressive because of its size. 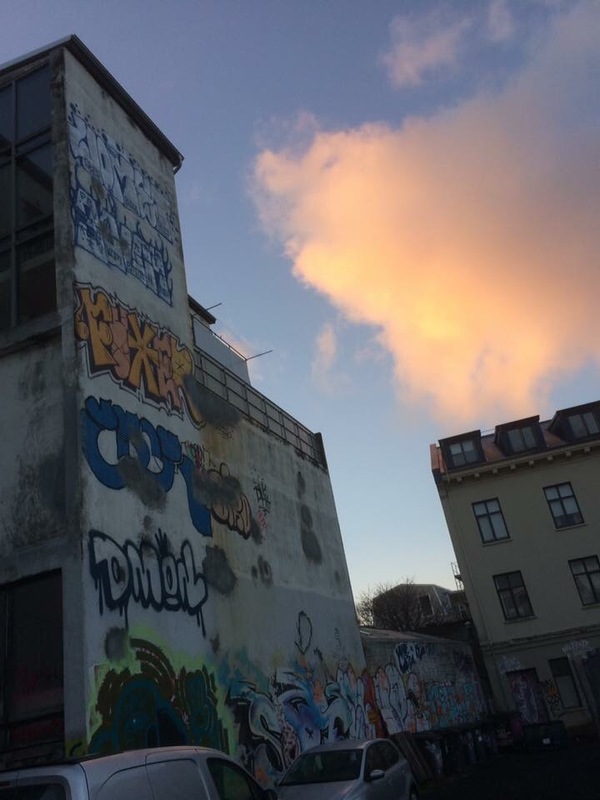 If you enjoy looking at murals, then Reykjavik’s a good city just for that reason, but it’s also good for many other reasons (from good local craft beer to craft coffee to well organized tours, etc.). 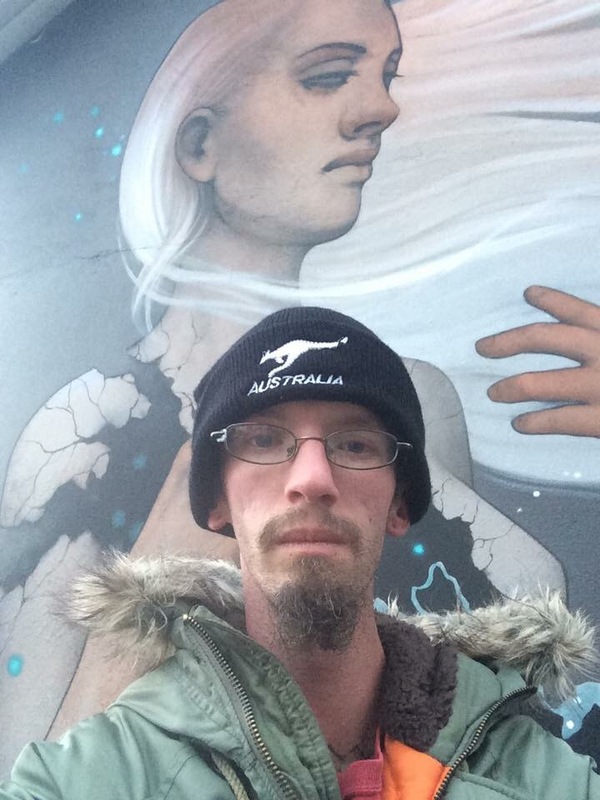 Format StatusPosted on December 18, 2016 Categories Domestic & Worldly Sites/Sights, Media, Mural Art, Public Art, Public Transportation, Cityscape, Landscape, Etc.Tags #Art, #Building, #Europe, #Iceland, #Mural, #Reykjavik, #UrbanExplorer, #UrbanPhotography1 Comment on Mural in Reykjavik, Iceland. A Rare Icelandic Beer…! Hvalur 2, by Bruggus Stedja! A rare Icelandic beer I had while I was in Reykjavik, Iceland last month. This really is a rare beer, because you can’t find it in the United States & it’s difficult to find in Iceland. I had to contact the brewery directly for a special delivery! 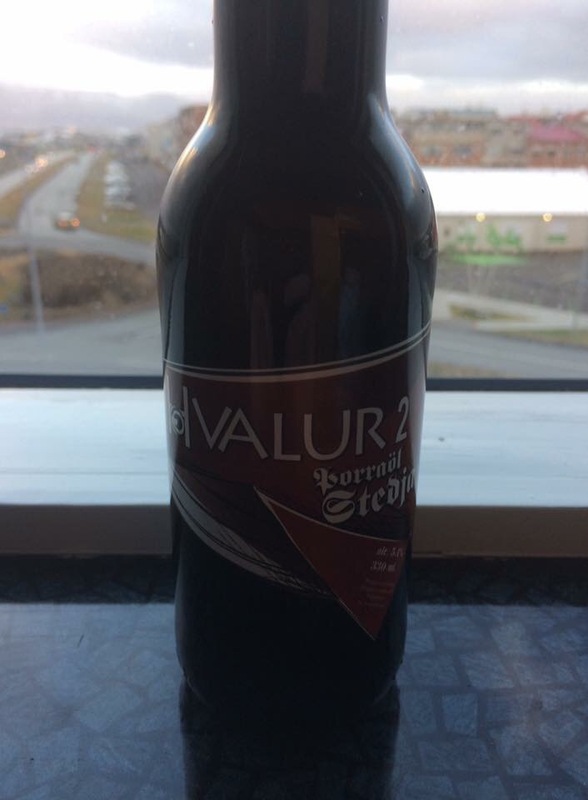 The beer is called “Hvalur 2” and it’s brewed by the brewery, “Brugghus Stedja.” What makes this beer special is that it’s brewed with fin whale testicles, which are smoked with sheep dung. I highly recommend this rare beer for the adventurous traveler! Format StatusPosted on December 16, 2016 Categories Craft Coffee, Craft Beer, Good Food, Etc., MediaTags #Ale, #Beer, #BeerEnthusiast, #BeerEnthusiasts, #BeerTraveler, #Brewery, #BrugghusStedja, #CraftBeerEnthusiast, #CraftBeerEnthusiasts, #DarkAle, #DarkBeer, #Europe, #FinWhale, #Hvalur, #Hvalur2, #Iceland, #IcelandicBeer, #IcelandicCraftBeer, #Porter, #RareBeer, #RareBeers, #RareCraftBeer, #RareCraftBeers, #Recommended, #SheepDung, #Stedji, #TravelEnthusiastLeave a comment on A Rare Icelandic Beer…! Hvalur 2, by Bruggus Stedja!